There’s no better way to enjoy some good weather in Manhattan than to venture out to a local park and spend some quality time in the great outdoors, and fortunately, Central Park isn't the only great park in town. Because of city ordinances that require new skyscrapers to also provide proportional areas of public access, there are plenty of other green spaces for nature-starved New Yorkers to enjoy, but the following four parks are considered the best outside of NYC's main Central Park. From Washington Square Park at the heart of New York University's campus to the elegant Bryant Park in the middle of the bustling Midtown neighborhood, take a break from the city on your next trip to New York in one of these fantastic public parks. Washington Square Park is in Greenwich Village’s main public space as well as within the heart of NYU’s campus. Students, families, area shoppers, and tourists alike frequent the area surrounding the central fountain to read, sunbathe, admire the historic Washington Square Arch, or watch one of the park’s many entertaining performance artists. Located between Macdougal Street, Waverly Place, West 4th Street, and 5th Avenue with subway access via the A, C, E, B, D, F, M to West 4th Street or the N and R to 8th Street/NYU, this nearly 10-acre park is perfect for a casual afternoon. Activities and park features include chess tables, a playground, and a dog run. Hudson River Park is one of the most exciting parks in Manhattan. Stretching along the Hudson River from Lower Manhattan to Midtown, the park offers a vast range of facilities and activities. Whether you simply want to relax with an afternoon of strolling, sunbathing, or picnicking or if you'd like to play a few fun games with your friends, the five miles of park space at Hudson River Park has it all. Located on the far west side of Manhattan starting at Battery Place and ending at West 59th Street along the Hudson River waterfront, this beautiful park includes 550 acres of grassy public space. Activities include biking and jogging paths, batting cages, a carousel, beach volleyball courts, a golf range, sports fields, basketball courts, mini golf, rock climbing, tennis courts, skate parks, the Trapeze School New York, kayaking, sailing, swimming, boat trips, play areas, and dog parks. All A, C, E, 1, 2, and 3 train stops between Chambers Street and West 59th Street/Columbus Circle provide access to the Hudson River Park. You can stroll by this very social space during the week and find hordes of Midtown office workers lounging on the park’s great lawn or enjoying happy hour at the Bryant Park Café. While you're there, feel free to grab a book from the adjacent New York Public Library and read in the shade on one of the park’s dual promenades. Located between 5th and 6th Avenues and West 40th and 42nd Streets, this centrally-located 10-acre park hosts seasonal events as well as its staple features of a carousel, pétanque, chess and backgammon tables, and even a ping pong area. You can take the B, D, F, or M trains to 42nd Street/Bryant Park or the 7 train to 5th Avenue and walk over for access. Nature lovers who venture up to this wooded space in Upper Manhattan are rarely disappointed, despite the trek it takes to get up there from Lower Manhattan. Located between Broadway and Riverside Drive between West 192nd Street and Dyckman Street, visitors can access this fantastic public space via the A train to 190th Street or Dyckman Street stations or the 1 to 191st Street or Dyckman Street stations. Fort Tryon Park offers one of the highest natural points in Manhattan where visitors can take in views of the Hudson River and Palisades State Park or meander through the lush Heather Garden in this 67-acre park. 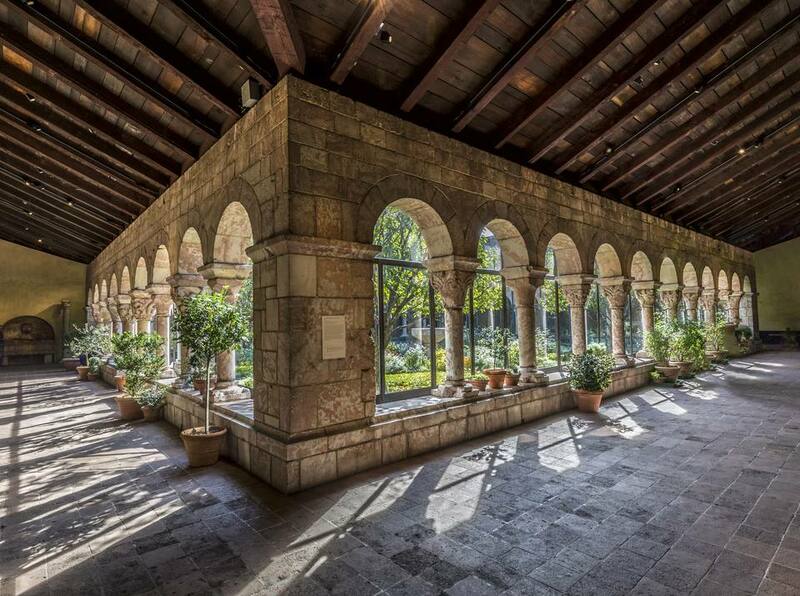 On colder days, consider stopping by the Cloisters Museum or grab a casual gourmet meal at the New Leaf Restaurant. Other features include playgrounds, eight miles of pedestrian and bike paths, a dog run, and basketball courts. 7 Shows and Concerts To See in Central Park This Summer!